Nationally competitive scholarships can help fund your education and bring added distinction to you, your résumé, and UNT. Thanks to the Internet and to the public availability of websites, highly advanced search engines bring the information about these scholarships to your disposal. Still, finding an opportunity is just the beginning. 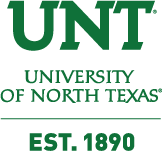 The UNT Office for Nationally Competitive Scholarships stands ready to work with you and your faculty mentors by offering feedback on style, tone, and organization on any essay you plan to submit for competition. You will enhance your writing skills and arrive at a better sense of your future plans and commitments. Moreover, undergraduates will find that they can adapt national-scholarship narratives to graduate-school admissions essays, with better chances of garnering internal fellowship support. Graduate students, in turn, end up transforming their scholarship proposals into the theoretical introductions to their master’s theses or doctoral dissertations. Stated otherwise, the process of applying for a nationally competitive scholarship is a “no lose” scenario, relative to the writing you will undertake and refine. You may proceed, as follows to learn the opportunities available to you. You may access those through the following internet sites. 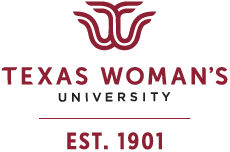 (While you are at liberty to visit these sites, including those of other universities, kindly address any questions you have about these awards to me, at james.duban@unt.edu. Other universities must attend to their own students.) This search may well take several days; don’t let that deter you. In days before the Internet, the search would have taken several months or years. Visit my home page https://honors.unt.edu/office-nationally-competitive-scholarships or https://honors.unt.edu/office-nationally-competitive-scholarships/how-proceed for an overview of high-profile scholarships. The following website (U. Maryland) allows you to search by multiple categories, with hypertext links to the scholarship sponsors: http://www.scholarships.umd.edu. Click on the categories to the right, and then click on the optimal sub-category. Study those opportunities, scholarship-by-scholarship, before moving on to any of the sites below. If you try to do too much at once, the search will appear overwhelming. Note, as well (on my web page https://honors.unt.edu/office-nationally-competitive-scholarships) the link “UNT Scholarships and Financial Aid Resources.” It will lead you to numerous hard-copy and many more Internet library resources that will prove helpful in searching for scholarships. You will need your UNT euid/password to access. cut and paste that revised Word document into an email to james.duban@unt.edu. I will provide additional feedback in the areas of style and tone. When you, your mentor, and I are satisfied with that Word document, you will undertake the same process for each subsequent entry or essay. After completing each entry this way, you will cut and paste those entries into the appropriate boxes or columns of the formal application. I advise you never to work on the Internet site until you have completed the essay(s) in Word. Students should complete the application at least three weeks prior to the deadline and show a copy of the completed application to any person from whom they expect a letter of recommendation. The completed application will give recommenders more to say about you and will also allow them to place their recommendations in the context of the specific scholarship and its expectations. Professors will also interpret the three-week buffer as a welcome gesture of courtesy. I look forward to working with you on these opportunities.